Christo and Jeanne are among the artist communities most interesting power couples, which includes the likes of Jackson Pollock & Lee Krasner, Claire & Jeremy Weiss and Inez & Vinoodh. They are widely known for their earth art. Among their popular works are the Surfaces d’Empaquetage and Cratères, Wrapped Bottle, Wrapped Road Sign, Wrapped Package, and the Wrapped Coast. The couple worked on wrapping small items, to large monuments and land forms. Jeanne Claude died at 74, leaving behind a couple more artwork for her partner Christo to finish like the Mastaba and Over the River. The couple was supposed to do a project with the Museum of Modern Art. They also planned to wrap buildings in New York City. Both were born on the same day, June 13, 1935 but in different places. 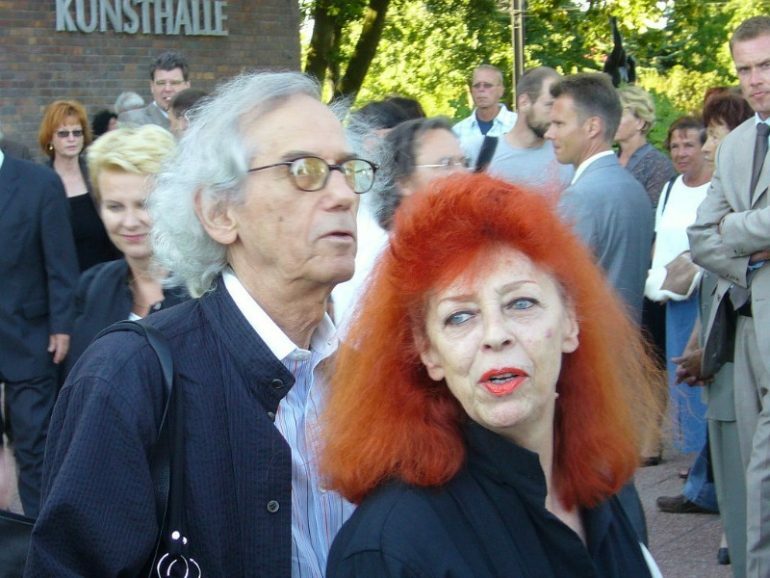 Christo was born in Bulgaria to an industrialist family, while Jeanne Claude was born in France from a military family. Jeanne studied in the University of Tunis, in Tunisia Latin and Philosophy, while Christo went to the National Academy of Art in Sophia, Bulgaria. Christo travelled a lot in his earlier years. He fled to Prague to escape communism in Bulgaria, and then studied for a semester at the Academy of Fine Arts in Vienna, Austria. The duo met each other when Christo travelled to France in October 1958 and had their son, Cyril in 1960. Four years later they moved to America. Earth or Environment art started somewhere in the 60s and 70s. It is ideally made to be naturally incorporated to a certain place, and is designed to supposedly stay there permanently. 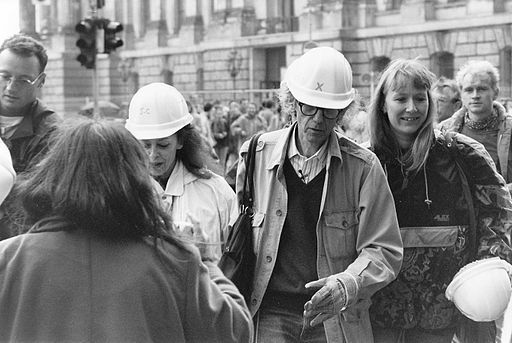 Some artists would make temporary environment art like Christo and Jeanne, who started doing their artwork together in 1961. Their inventions altered the physical attributes as well as the visual appeal and experience of their chosen sites, which helped its viewers appreciate the new form of the ordinary things and places they transformed. The duo often refused to sell their masterpieces. Instead of working in galleries, their pieces are mostly found in rural places. They heavily relied on creating their simple and even the large scale and ambitious pieces to entertain their viewers. They have dozens of well recognized artworks, but The Iron Curtain is perhaps the most popular because of their vivid painting of their opinion about the Cold War, as well as the Berlin Wall. This masterpiece was made from 89 barrels arranged on top of the other. The barrels were held on together by ropes and cloth. The wall measured 13.2 ft. wide, 13.7 ft. tall and 2.7 ft. deep. As mentioned earlier, Christo is still working his way to continue some of the projects they originally planned to make. The Over the River project launching was cancelled because the group Rags Over Arkansas River (ROAR) filed a lawsuit that prevented them to continue because of the possible environmental issues that will be caused by suspending 5.9 miles of fabric over the Arkansas river. Apart from this project, they were also criticized for their Biscayne river project. Critics question if they are really serving the purpose of Earth Art to protect the environment or are they doing the other way around? Still, even when their intentions are questioned by many, the pair’s ambitious artwork amazes quite a lot of people around the globe.